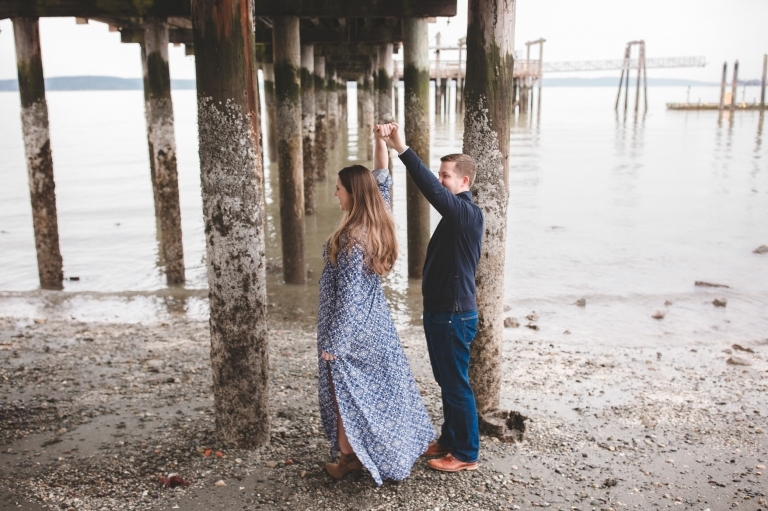 This Tacoma Waterfront Maternity Session is one of my favorites! We didn’t let the rain stop us from shooting and I’m so glad we went for it! The rain eventually died down and it made for the perfect mood. We were the only ones on the beach and it was so calm and serene during their maternity session. It allowed us to go with the flow and enjoy ourselves. This couple is absolutely gorgeous! They are military and it was an honor to meet them! I have a special place in my heart for those in uniform. My husband is medically retired from the Army and I used to do records for the Tukwila Police Department prior to photography. Because of this, I also offer my clients a military discount on their sessions. So, be sure to ask about that when inquiring on a session! I couldn’t have asked for a better evening with these 2 and I’m really looking forward to meeting their little girl soon!